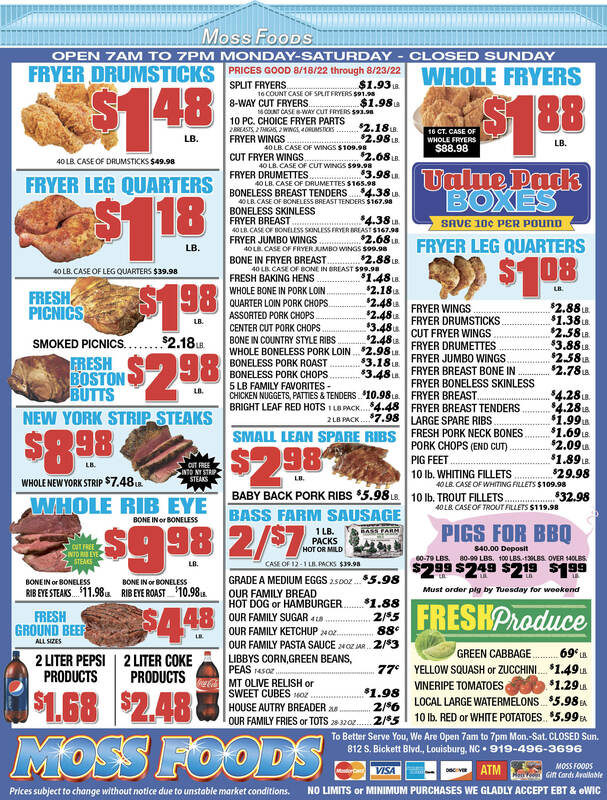 Showing 36 articles from May 13, 2015. LOUISBURG -- Millions of dollars in losses and dwindling usage were cited by Novant Health officials in their decision to eliminate staff, scale back services at Franklin Medical Center and shutter some clinics a few months ago. Last week, the Winston-Salem-based corporation said those same factors have forced them to offer to sell the hospital in the heart of Franklin County. FRANKLINTON -- Town commissioners began their first budget workshop Tuesday night trimming the town's deficit by nearly $50,000. Still, the town would need to raise taxes by 11 cents per $100 of valuation, raid its general fund for all or part of the deficit, or take a hatchet to its remaining workforce to find the $95,000 they need to balance the budget. A FIRST FOR FRANKLIN COUNTY. 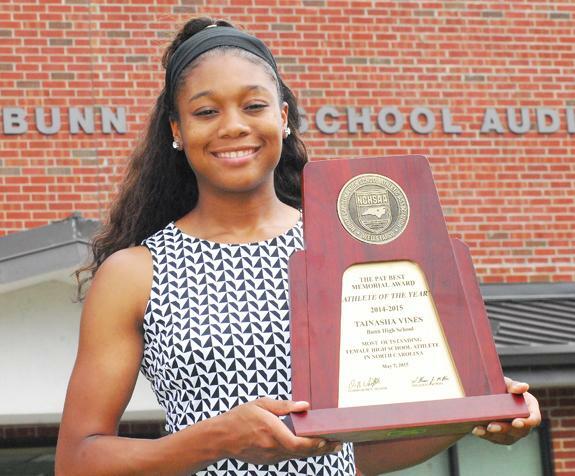 Bunn High School's Tainasha Vines has received the North Carolina High School Athletic Association's State Female Athlete of the Year. 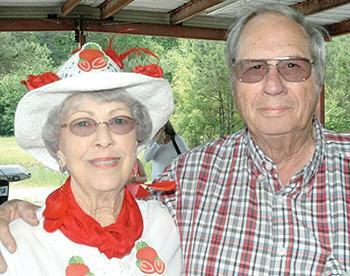 Vines is the first Franklin County resident to be selected for the award during its 30-year history. For the story, see 'Sports' section. LOUISBURG -- Franklin County commissioners were expecting to have a clearer picture of how to address structural and air quality issues this week. County management evacuated the planning and tax office building late last week after an air quality report revealed problems in the decades old building. 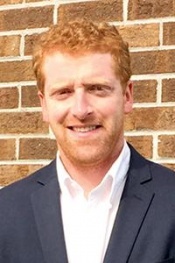 LOUISBURG -- Jonathan Franklin will soon become the new town administrator of Louisburg. Franklin was offered the job last week after a unanimous vote by the town council and has accepted. He is expected to be on the job about June 1. Franklin, who applied for the job as Louisburg administrator in February, was one of 25 applicants seeking the position although the town council interviewed only two. "... and a river runs through it," quipped ace Times reporter Carey Johnson. Well, not a river exactly, but maybe a creek? Really, it's just a ditch -- a drainage ditch that runs near the embattled county office building on Nash Street that the county hastily fled last week and, at press time, is considering entering into a remediation and rebuild contract that could cost at least $100,000. At the risk of stating the obvious, Franklin County needs a hospital. More specifically, central, northern and eastern regions of the county desperately need a hospital even more than the southern and southwestern sections which are far better served medically by their proximity to Wake, Vance and Granville county providers. People often say the media focuses too often on negative stories and not enough on positivity. 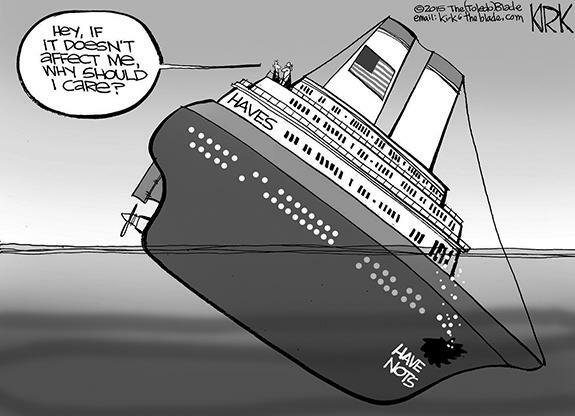 Well, after reading a news report about some "issues" a former director of the state's Medicaid payment upgrade, I'm positive that people can find wrong ways to do things. According to the report, an audit questions more than $1 million in spending, alleges the director was responsible for nepotism and paid underqualified folks too much money. There were some political lessons taught last week if only we look to Texas and the UK and see how extremists were handled much differently. Desperate for votes and energy in the aftermath of the 2008 election, the Republican Party embraced the Tea Party movement. It is my understanding that the hospital was once owned by the county, and that the county retains the right to assume ownership of the hospital if certain requirements are not met. I live in Louisburg and I attended the recent meeting held on May 6, 2015 at the Town Hall regarding the issue of high utility bills. I was hoping to get more information on future plans of the town, particularly on the utility bonds issue which would take effect in July. LOUISBURG - David B. Clanton, 59, died Tuesday, May 5, 2015. Funeral services were held Monday, May 11, at South Main Street Baptist Church in Louisburg. Burial followed in the Walnut Grove Church cemetery, Louisburg. FEELING THE HEAT. Franklinton's Shaniece Jones-Thames (center) crosses the finish line in first place during a Girls 100 Preliminary Race at last Saturday's Class 2-A Mideast Regional Track and Field Championships at Dudley HS. GREENSBORO -- Coach Clennie Wilkins figured the time was coming -- and soon -- when his Franklinton High School boys track and field squad would compete for a regional team crown. He just didn't anticipate it happening this soon. Thanks to a slew of strong performances, the Red Rams almost pulled off the county's first regional track title in nearly a decade. THE ULTIMATE PRIZE. Bunn senior standout Tainasha Vines displays a plaque that she received for being selected as the North Carolina High School Athletic Association Female Athlete Of The Year. 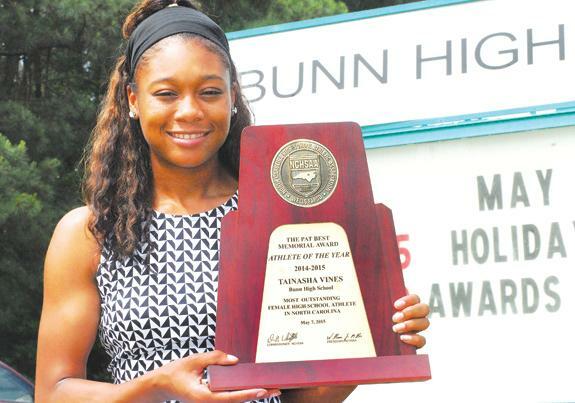 BUNN - Great vision is an attribute that most exceptional athletes enjoy -- and that includes Bunn High School track and field/volleyball/basketball star Tainasha Vines. But Vines' outstanding eyesight spoiled what was destined to be the most momentous occasion of her accolade-filled prep career. 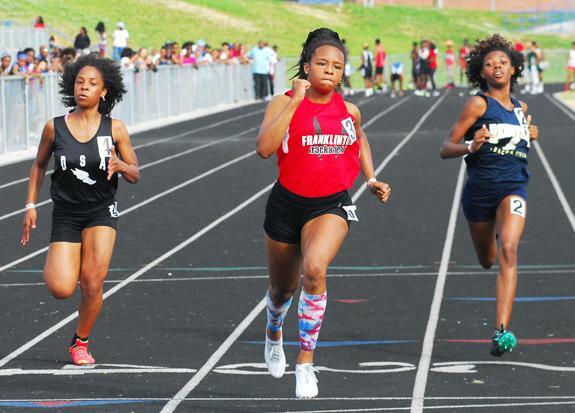 FRANKLIN COUNTY -- Louisburg High School's two-person dynasty continues to wreak havoc on track and field opponents across the state. 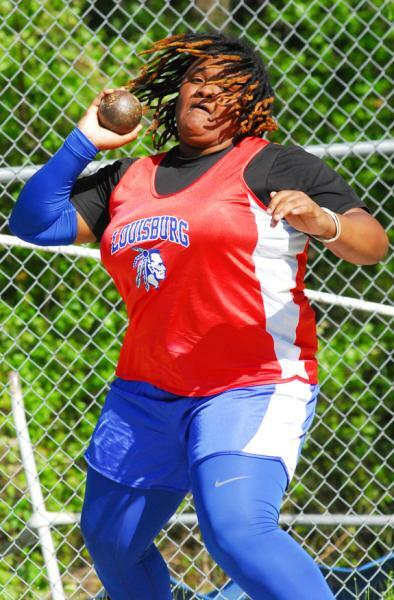 Last Saturday, LHS' Breasia Williams and Vanisha Wilshire roared through the competition at the Class 1-A State Track and Field Meet, which was held at Lejeune High School near Jacksonville. 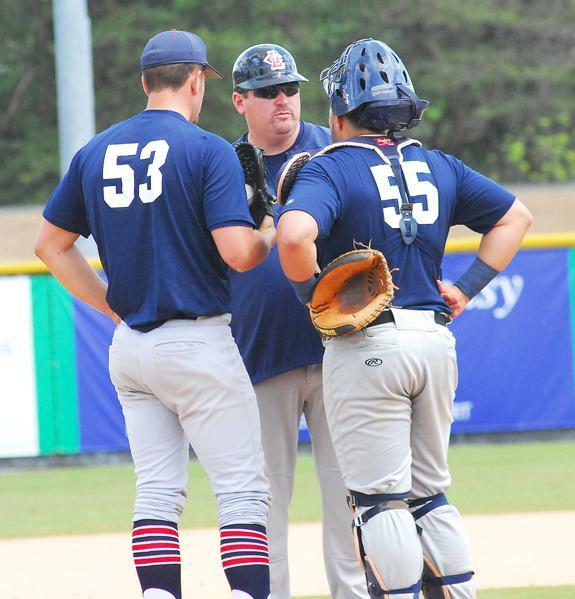 LOUISBURG -- It hasn't taken long for some changes to be made following Louisburg College's uncharacteristic 13-28 baseball season. After three years in charge of the program, Keith Shumate has stepped down, and his replacement will be a familiar name in LC diamond circles. NEXT STOP -- THE SUNSHINE STATE. Louisburg College women's soccer star Sammy Rowland is joined by LC head coach Andy Stokes as she signs a letter-of-intent to continue her career at Florida Atlantic University. LOUISBURG -- Scoring ability is obviously a huge intangible for a college soccer coach to consider when recruiting a prospective player. 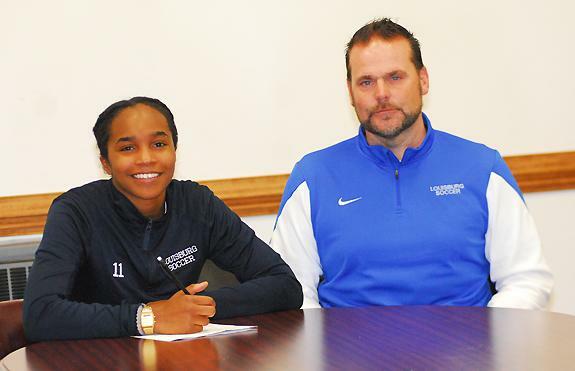 And Louisburg College's Sammy Rowland certainly fits that bill following two prolific years with the Lady Hurricanes. But coaches also like to find well-rounded performers who can not only find the back of the net, but excel in other parts of the field. SIBLING SENSATIONS AT LHS. 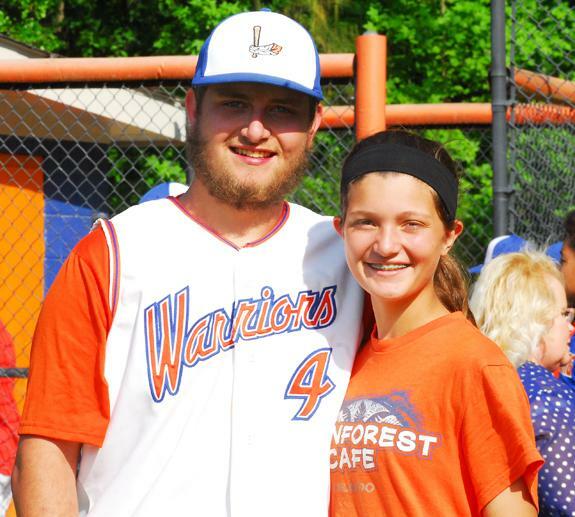 Jacob Wood (baseball) and Mackenzie Wood (softball) have been exceptional this spring for Louisburg High School. LOUISBURG -- Louisburg High School enters the Class 1-A State Playoffs with a sparkling record, a high seed and lofty expectations. Louisburg's postseason quest began Wednesday at home against Plymouth in the opening round. A victory there would put LHS into a second-round event at home, probably on Friday. UPON FURTHER REVIEW. 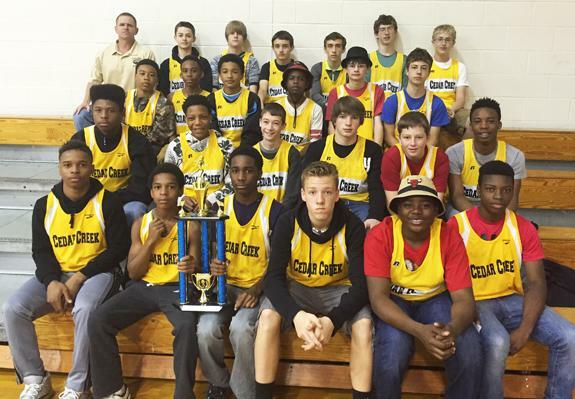 Cedar Creek Middle School, coached by Scott Bond, earned the first-place trophy at the Middle Athletic Conference Track and Field Championships. YOUNGSVILLE -- There wasn't any kind of enthusiastic celebration after Cedar Creek Middle School's boys track and field squad won its third consecutive MAC-9 Championship. There couldn't be, considering it had been announced that Terrell Lane was the team winner during the annual event on April 25 at Northern Vance High School in Henderson. SALEM, VA. -- Andrew Thurman held the Salem Red Sox to just two runs over a season high six and 1/3 innings while leading the Carolina Mudcats to a 5-2 win on Sunday at LewisGale Field at Salem Memorial Ballpark in a Class A Carolina League baseball showdown. Levi Hyams led the way offensively after going 2-for-4 with two RBI in game four of the series. BUNN -- The Bunn High School football program will host a car wash this Saturday at the Bunn High Parking Lot. 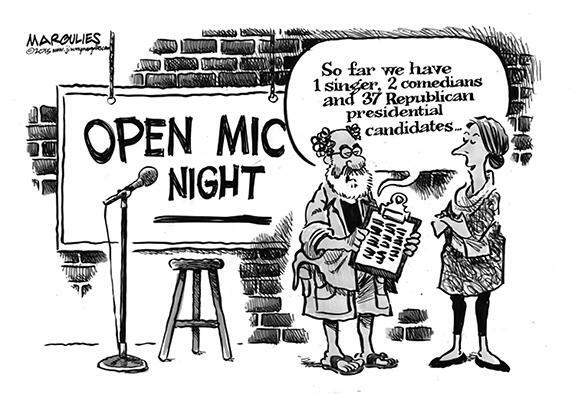 The event will be from 9 a.m.-2 p.m. Donations will be accepted, with proceeds going to help the Wildcats attend the FCA Team Camp. 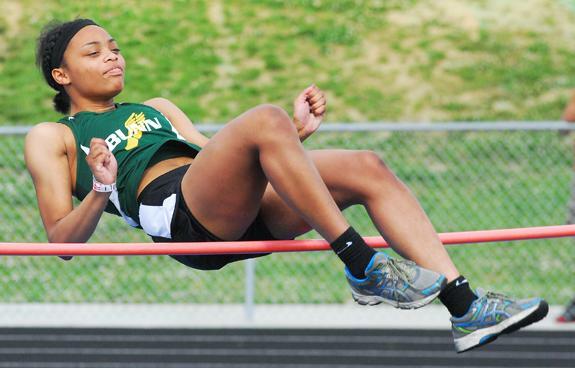 Bunn's Alexis McPhail competes in the Girls High Jump at the Class 2-A Mideast Regional Track and Field Championships last Saturday in Greensboro. A.J. 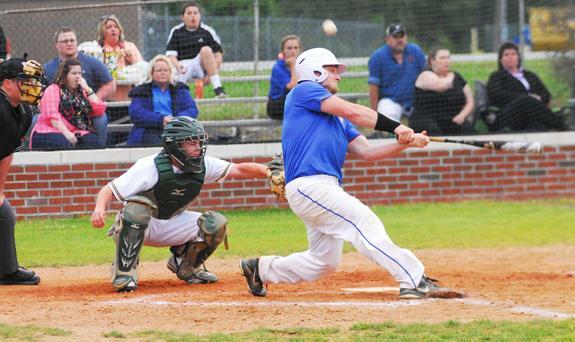 Collier (batting) and the Louisburg Warriors opened the Class 1-A State Baseball Playoffs on Wednesday at home against Plymouth. The Warriors won the Tar-Roanoke Athletic Conference championship this season. 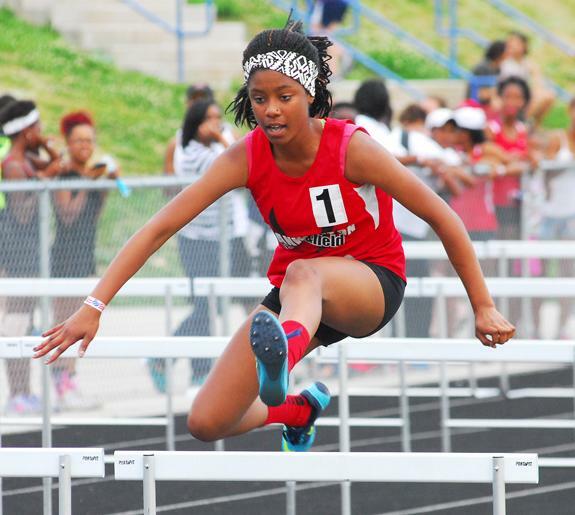 Franklinton's Destiny Grant takes part in the Girls 100 Hurdles during regional action last Saturday. FLAVORFUL SEASON. 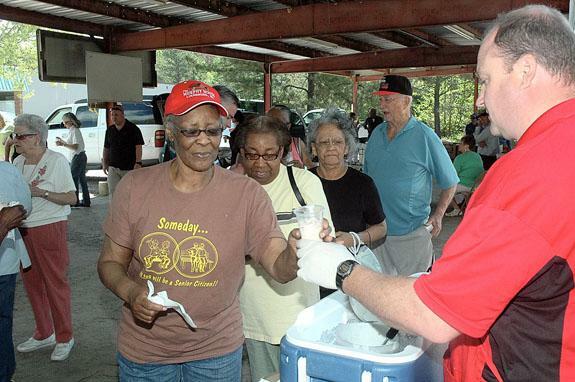 Above, Franklin County Cooperative Extension Director Charles Mitchell serves strawberry ice cream to Bobby Kearney during the Strawberry Festival last Friday. The festival serves as a kickoff for the Farmers Market in Shannon Village in Louisburg. The Cherry Hill concert series continues its spring performances May 17 with a presentation by four members of the Meredith music faculty. Piano, cello, violin, and guitar music will be played by professors of those instruments. The concert will begin at 3 p.m. and will be followed by a reception for audience members and performers. LOUISBURG -- Due process for teachers, a contentious issue in North Carolina after the General Assembly tried to do away with tenure last year, brought four people to the Franklin County Board of Education meeting Monday night. The four speakers urged the school board to protect the rights of teachers -- and to send that message to legislators in Raleigh. When Cathy Palmer, Franklin County Schools' instructional technology facilitator, stepped into Elaine Ihrie's classroom at Bunn Elementary in October, 2014, she expected to see groups of students doing typical classroom activities such as math or reading. Instead, she saw students Skyping with a group of students in Colombia, South America. This was not a new experience for Ms. Ihrie's students, either. They have been participating in global connections projects for six years. LOUISBURG -- A woman crashed her vehicle into a home over the weekend. Lue Brinkley Greene, 81, of Louisburg, was transported to WakeMed where she was treated for non life-threatening injuries. A woman inside the home at the intersection of East River and Mort Harris roads was not injured. Bible Drill programs are designed to raise a generation of Christ's followers by encouraging them to hide God's word deep in their heart and express it effectively, organizers said. These programs help children increase their knowledge, memorization, and application of scripture. 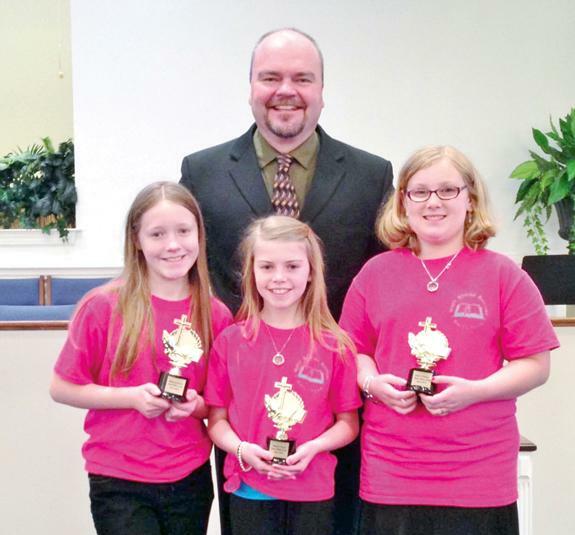 Rock Spring Baptist Church of Louisburg began a children's Bible drill program in 2013. There will be a Confederate Memorial Service at 2 p.m. Sunday, May 17 at Oakwood Cemetery in Louisburg. This service is open to the public. The Joseph J. Davis 537 UDC, the First Flag 852 Children of the Confederacy, Popular Grays, SCV 1700, Bowling Green 2622 UDC and the Franklin Rifles 310 SCV will present a program. The United Way of Franklin County Feeding Franklin Spring Food Drive began May 1 and lasts through May 27. Anyone may take non-perishable donations to any Franklin County library branch or town hall in Louisburg, Bunn, Youngsville or Franklinton or to the Franklin County Sheriff's Office. Other drop-off sites include County Line Auto Service and Union Bank in Youngsville and the Louisburg Senior Center. YOUNGSVILLE -- A Franklinton High school teacher and coach was placed on leave this week after authorities allege he led them on a drunken, reckless chase that ended with the administration of a taser. Isaac Stuart Welker is slated to appear in Franklin County District Court on July 14 to face charges of felony fleeing to elude arrest, misdemeanor resisting an officer, failure to report an accident, driving while license revoked and driving while impaired.